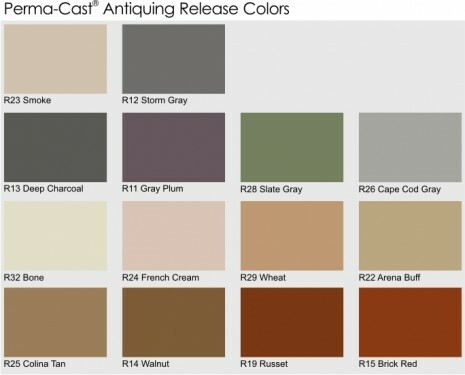 This is the color hardener that gets mixed with the concrete, this will be the actual concrete color enhanced with the release agent (see below) color to mimic the stone an(or) brick texture. 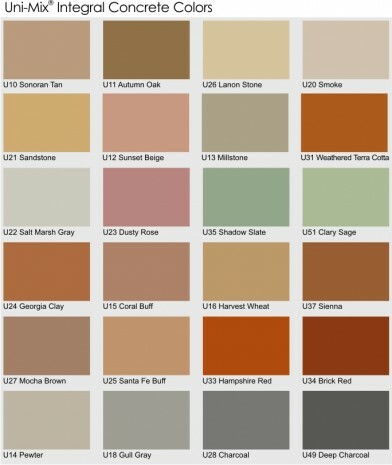 This is the release agent color that will be applied and used to stamp the concrete slab down. For texture and enhance color variation, the release agent will show about 35% – 45 % and the color hardener will show 65% – 75 %.